Most have heard and / or read Cynthia Ulrich Tobias’ book, The Way They Learn: How to discover and teach to your child’s strengths. I have been a late comer to the party, allowing this gem of a book to sit on my bookshelf for several years. As a Focus on the Family book published by Tyndale House, I knew it would be good. Timing is everything and the time arrived last fall. Four children, four different learning styles, two of which include learning disabilities, this Momma needed insight. Tobias delves into the variety of learning styles and helps parents and teachers discover consistent patterns. I appreciate her ability to highlight the myriad of styles and maintain the beauty of each. No style is a right or wrong style although most public school settings are better suited to one style over others. We are all created marvelously different. How one child learns and processes information is different from the next, but not wrong. If you are struggling to figure out the learning style of a child and how to help them succeed on their educational journey, The Way They Learn is a marvelous starting point. Along the way you may learn a few things about yourself too. We may be drawing to the end of a school year, but it is not too late to understand our children and our students. 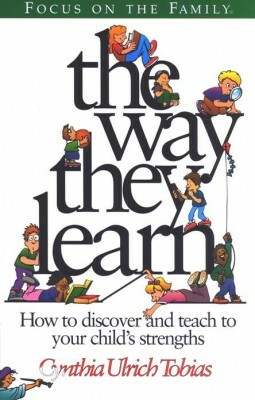 Do you have suggestions regarding books dealing with the learning process?